Hello Friday! I've finally regained my appetite after recovering from a stomach bug for most of the week. As someone who is constantly hungry, it was a strange concept to have to tell myself to eat. Kent and I are going out to celebrate my new job this evening, so I'm looking forward to indulging in real food. I'll try to moderate my intake as I don't want to relapse, but I'm excited for our date night. The remainder of the weekend should be low key as usual. I've missed my workouts so much, so I need to get my sweat on at some point. Not much else on the schedule as of now. We lead thrilling lives. 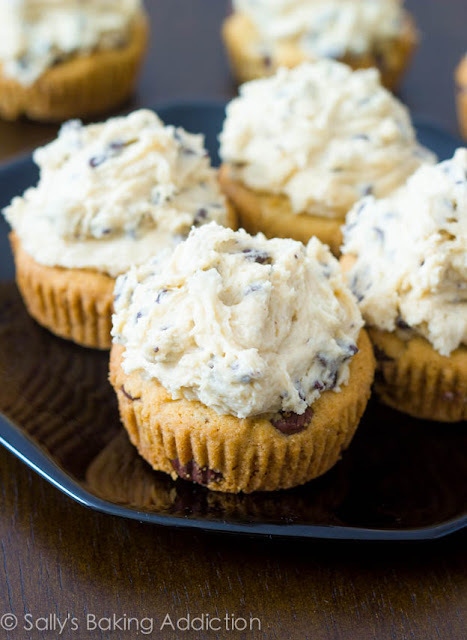 Favorite indulgence: Chocolate Chip Cookie Cupcakes w/ Cookie Dough Frosting. Sally has done it again with creating another insanely decadent dessert. Here we have my favorite chocolate chip cookie in cupcake form with eggless cookie dough frosting. Sometimes I think my sugar obsession is a tad extreme, but then I see ideas like this and it almost validates that time I ate my own personal dessert buffet at a friend's wedding*(see end of post). Not the same thing? Oh well. I like my sweets. 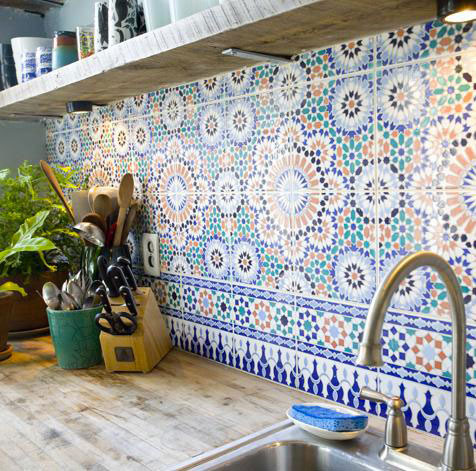 Favorite decor: Moroccan Inspired Backsplash. I love the colors and patterns of this backsplash against the butcher block countertop. I'm not sure that it's very practical for an everyday space like the kitchen, but I love how it elevates an ordinary room into a special place. 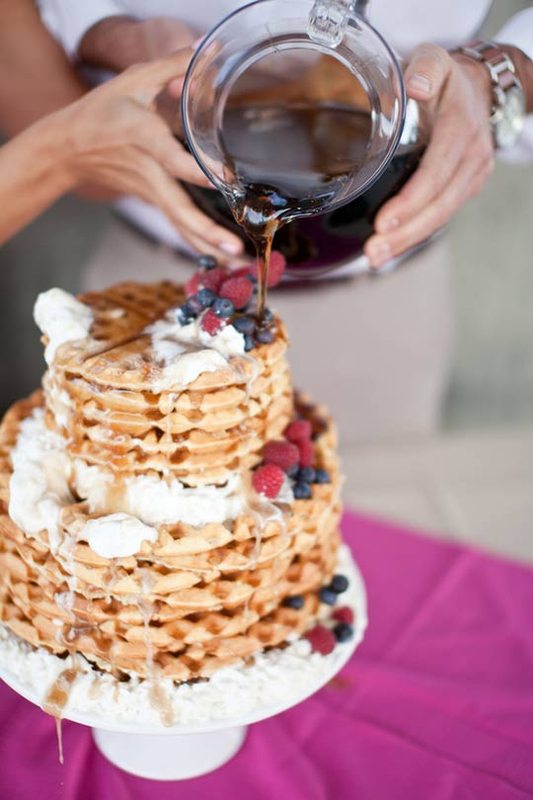 Favorite twist: Waffle Wedding Cake. I'm not even a waffle fan, and I love this idea. Morning weddings are a bit odd to me, but if you're going to have a brunch reception then this is a great idea to incorporate into your special day. I shared birthday pancakes with you a few weeks ago, and I think this is another cute idea to celebrate a birthday. Favorite look: Back to Black. I'm still undecided on the peplum top, but I think this outfit is very well put together. The top is definitely the focal point, yet the color makes its shape not as distracting. From the sunglasses to the necklace, I love it all. The top is from H&M, so it's an affordable look. 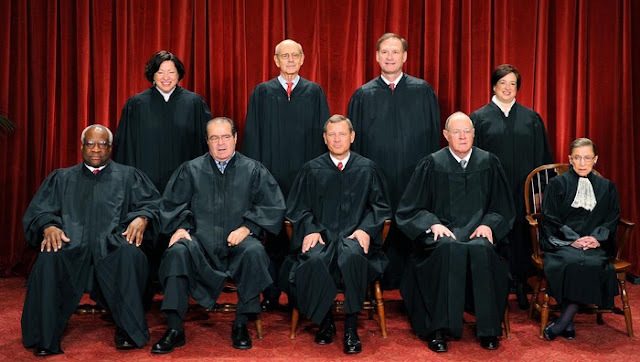 Favorite funny: Supreme Court on Gay Marriage. I don't follow the Onion as much as I did in college, but someone shared this article on Facebook the other day. I can't even believe we're still debating this issue. What effect does it have on any of our lives if gay marriage is legal? It's pathetic that people are so vitriolic about the idea of two human beings in love marrying each other. Lets embrace change, America. 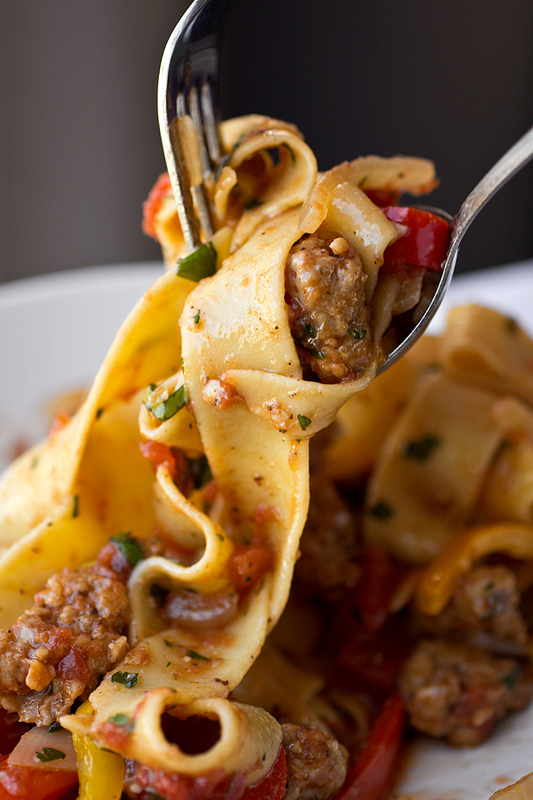 Favorite meal: Italian Drunken Noodles. Oh my goodness, this is comfort food. Pass me a bowl of these noodles and allow me to devour them until I'm drunk with fullness. 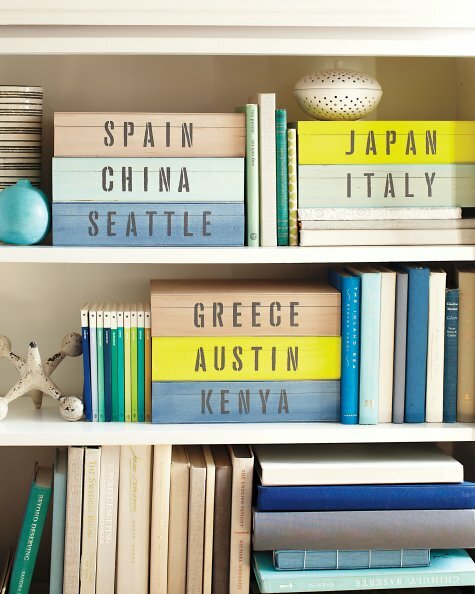 Favorite concept: Travel Keepsake Kits. I love this idea! Travel souvenirs like maps and ticket stubs can be difficult to put into a scrapbook, so this allows you to preserve your mementos in a safe and fun way. And lets be honest, who has time to scrapbook? Throw yo' stuff in a box! I'm looking at you Mrs. Kratz! Favorite read: New York Times: Your Phone vs. Your Heart. This was a great article written by a UNC professor. She argues that human interaction is now so limited by technological distractions that we are losing our capacity for connection, friendship and empathy. The less we exercise our ability to connect face to face, the less biological capacity we will have to do so. It's so awful how often Kent talks to me while I'm on my computer with the TV on in the background and I nod without any idea of what he just said. This article motivated me to really try to work on disconnecting from technology more often. 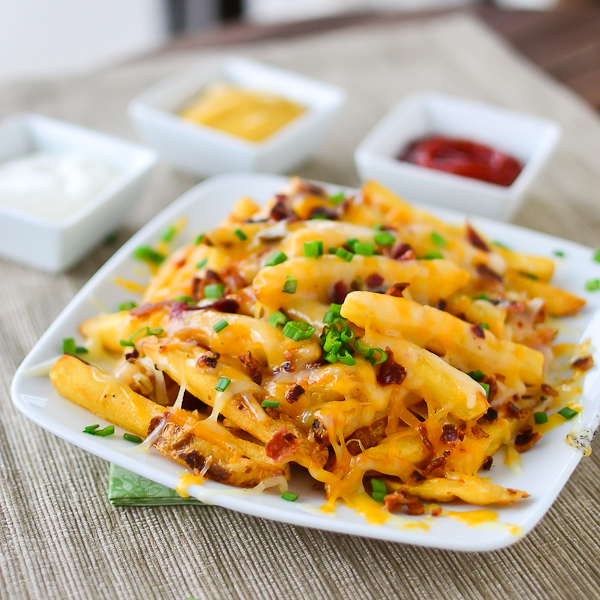 Favorite bite: Bacon Cheese Fries. Hmm, maybe several bites. 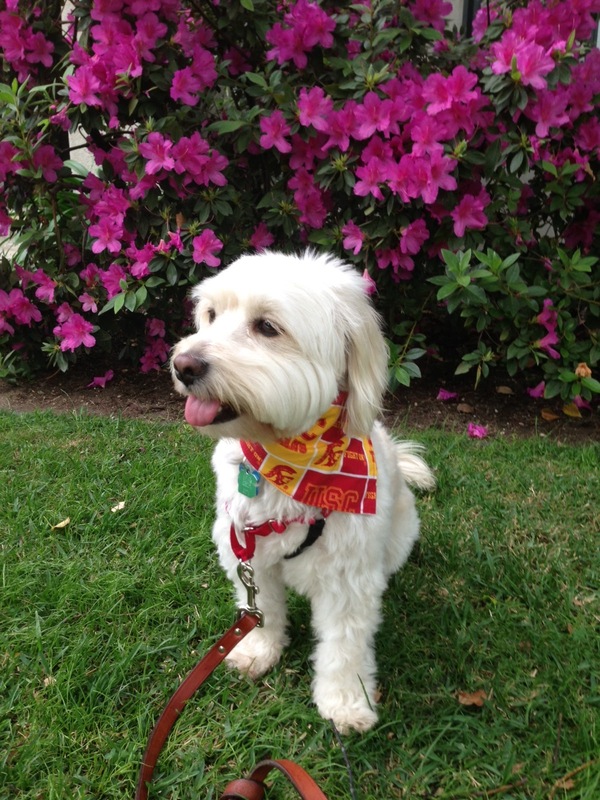 Favorite dog: Trojan pup. This is my sister's dog Benny and he is the cutest dog I've ever seen since my sweet Buffy passed. I may have to feature him more often because he is so photogenic. He melts my heart! 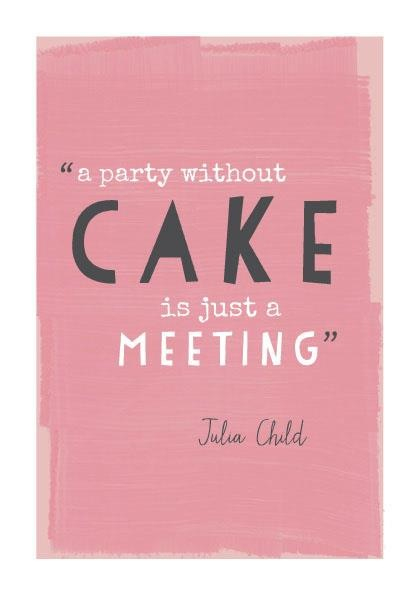 Favorite quote: A Party Without Cake is Just a Meeting. I saw this earlier in the week, and it's gone viral on Pinterest since then. This is my life manta, seriously. I cannot tell you how much it disappoints me to attend a party that doesn't include cake. Is this part of being an adult? I assure you any event that I invite you to will feature cake. *This was just the first helping of dessert I enjoyed at a friend's wedding last month. They had a dessert room, where they offered every flavor of cake imaginable, a chocolate fondue fountain, and countless dessert creations. It was dessert heaven, really. Kent rolled me out of the venue that evening. YUMM!!! Love all these favorites!! what a delightful read sister!!!! I don't see the link to that article about technology and communication though. I clicked on the picture and it just took me to a link of the picture alone. Benny looks just dashing on your blog! He is the cutest dog since the passing of our Buffy. RIP sweet puppy Lisa! Somehow I missed this post. Love that idea!! I actually have saved all of ours and was thinking about a shadowbox frame where I would put a pic from the trip and then just dump all of the stuff in the bottom!